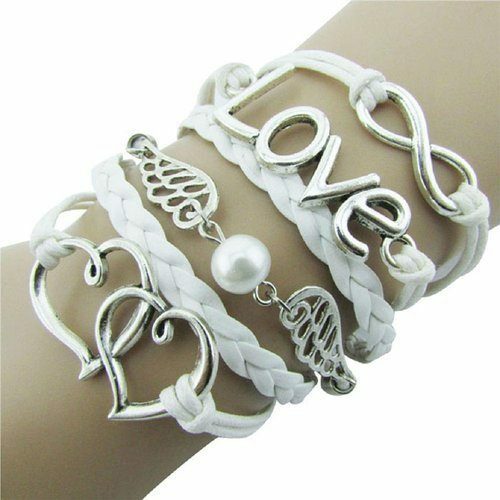 Leather Infinity Wrap Bracelet Only $3.25 + FREE Shipping! You are here: Home / Great Deals / Amazon Deals / Leather Infinity Wrap Bracelet Only $3.25 + FREE Shipping! Head over to Amazon to pickup the Leather Infinity Wrap Bracelet Only $3.25 + FREE Shipping! Infinity, Love, Wings and Interlocked Hearts come together to make a declaration of your feelings. This will make a nice gift for your loved one!